Final one for the week and it’s another track pumped full of adrenalin to set you up for the weekend ahead. We seem to be covering Kryder quite regularly, which is always a good indication that an artist has lots going on. 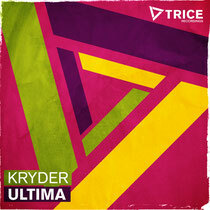 This time, it’s his new release on Armada Music and Trice Recordings that’s got us all excited. It’s a Beatport exclusive just now but will be widely available from the end of the month. What you get is a high-tempo track where, after a minute, it changes into a full-on tech, acidy workout that just slaps you about the face with its punch. As it hits two minutes, it drops into massive trance style synths and then the beat kicks back in and you just know this is going to be an absolute bonkers anthem on big room, full-to-capacity floors. A breakdown follows on three minutes and everything calms down, before the instrumentation and euphoric synths kick back in again, reaching the track’s crescendo, before it all starts to calm down again. Full on stuff! Check it out below. Big track, really like it!